We all love the traditional meat/squash/tomato/mushroom/meat skewers, but sometimes you want something a little more stick-to-your-ribs. 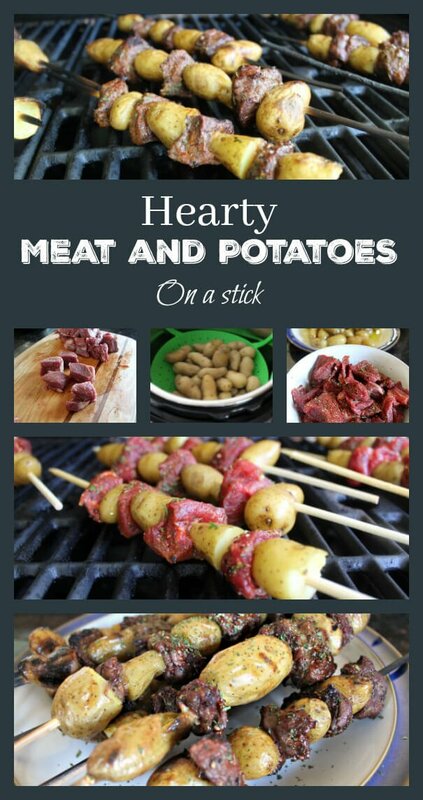 Still bursting with flavor, and cooked quickly on the grill, these steak-and-potatoes skewers brings the social activity of cooking and the heat outside for a meal that may become your new favorite grill meal. You can prepare these tasty morsels in the morning, or in early afternoon, and the flavors will only get better as they penetrate the steak and potatoes. The potato skin becomes crispy and infused with delicious grill flavor as these are cooked on the grill, which makes your favorite starchy side dish even better. Bring these to your next cookout and watch as everyone raves about them. The trick to getting the potatoes to be done at the same time as the steak is to pre-cook them. You can steam, bake, boil, or pressure cook the potatoes, or use leftovers from the night before. We then toss the potatoes with some garlic and olive oil. Next, cut the steak into cubes and toss it with a rub. Thread both on soaked skewers, and you’re good to go! Any steak will work for this recipe, making it ideal for those of us who get meat variety boxes delivered (see here) or from a local farm. Shown here is sirloin steak and it is absolutely delicious! Avoid tougher roasts, as they need a longer cooking time. This delicious outdoors take on the classic 'steak and potatoes' is sure to be a hit at your next cookout, and all summer long. 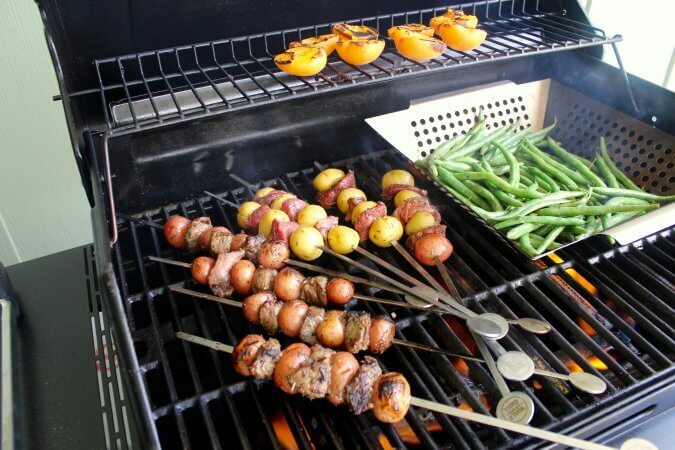 If using wooden skewers, soak in a large shallow dish in water so that they do not catch fire on the grill. 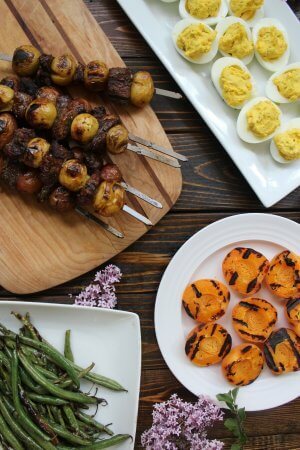 If using metal skewers, no extra preparation is necessary. Pre-cook the potatoes until easily pierced with a fork, but not falling apart. To cook in the Instant Pot, use a steamer basket insert, 1 cup of water, and cook for 10 minutes on manual. 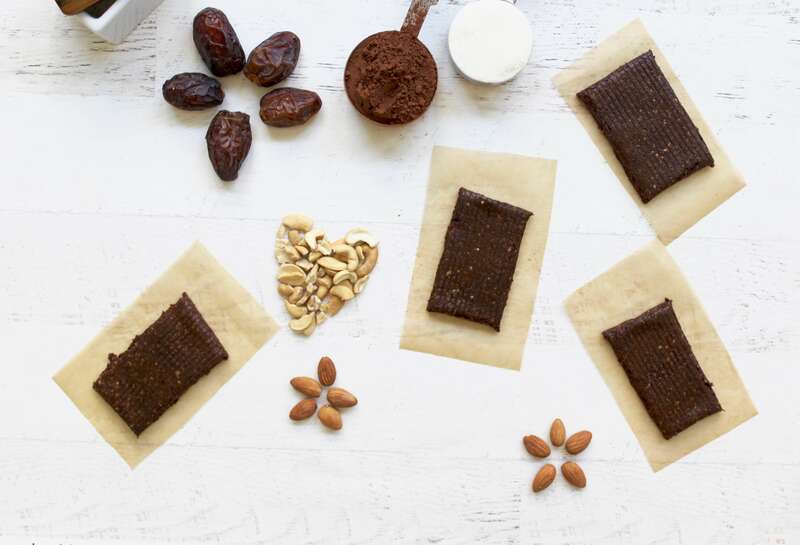 Quick-release and allow to cool. Alternatively, boil potatoes in a stock pot full of water for 15-20 minutes, or until soft but not falling apart, then drain through a colander and allow to cool. As the potatoes cook, cube and season your steak by cutting into one-inch cubes with a large chef's knife, and tossing with the Steak Rub. Once potatoes are cool enough to handle comfortably, cut in half if needed to make them bite-sized, and toss with olive oil and crushed garlic. 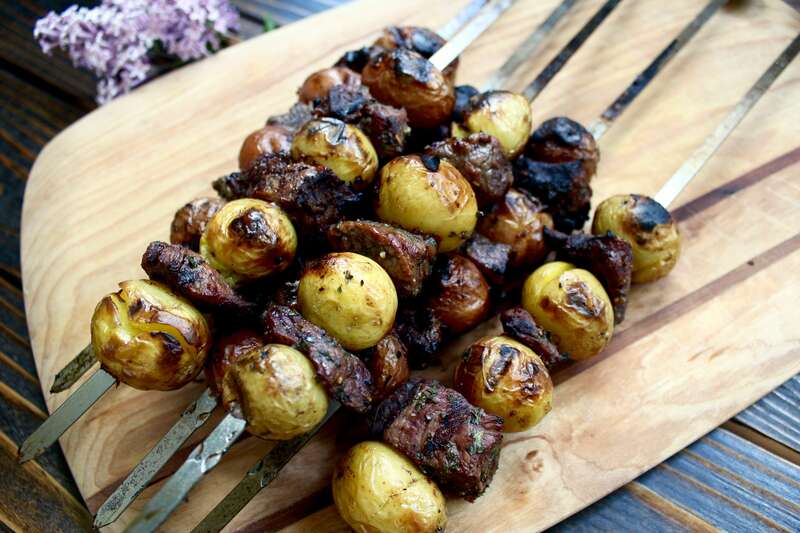 Thread potatoes and steak cubes in a pattern on the skewers. Cover and place in the refrigerator until ready to grill- this can be done in the morning and grilled in the evening if desired. Preheat grill (I use this one) to medium-high heat. Place your skewers so the meat and potatoes are centered over the heat source, and the skewers aren't directly over the flame. Cover and check in 8-10 minutes to see if meat is brown, then turn and cook an additional 8-10 minutes on the other side. 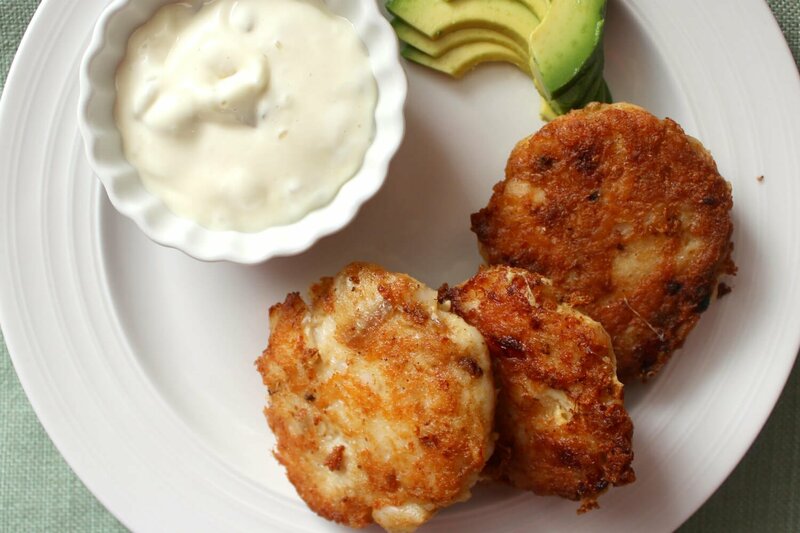 Remove to a plate, and enjoy!